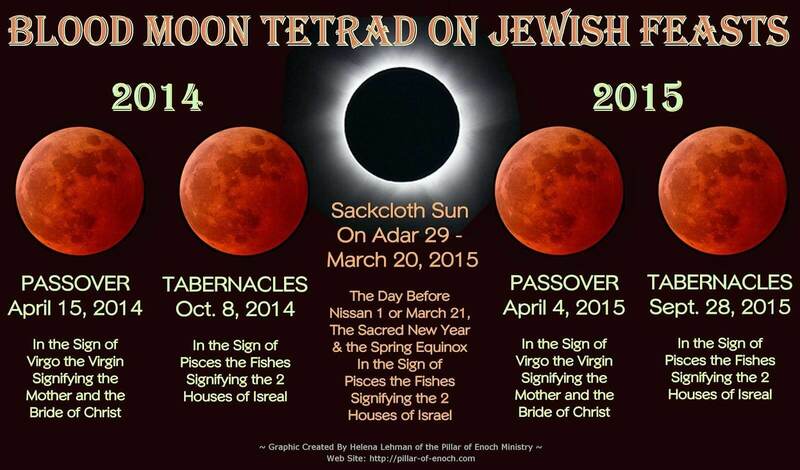 he 2014/2015 Blood Moon Tetrad fulfilled the biblical prophecies of Acts 2:20, Joel 2:31 and Revelation 6:12. In 1968 the U.S. State of Illinois experienced its largest ever recorded earthquake. This earthquake was one of the most widely felt in U.S. history. Though centered in Illinois, it affected 23 states over an area of 580,000 square miles. Millions of people felt the rupture, but miraculously, there were no fatalities. Some prophecy teachers are boldly declared that the 2014/2015 tetrad had signaled an impending event which will change the world forever. Several respcted rabbis and spiritual leaders have also acknowledged the importance of the 2014/2015 Blood Moon Tetrad and it’s correlation to end-times events. Rabbi Mendel Kessin told Breaking Israel News,“There are incredible events that predate the messiah. Kessin says that normal lunar eclipses, that give the appearance of the moon turning blood red, signal bad news for Israel and the Jewish people. 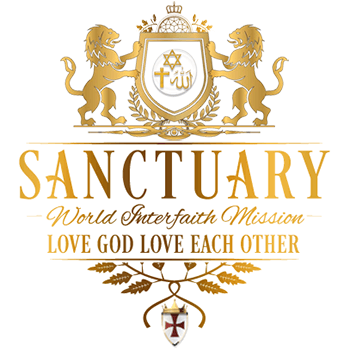 However, he says, those that occur on biblical holy days – such as Passover and Sukkot or Tabernacles – represent good news for them. 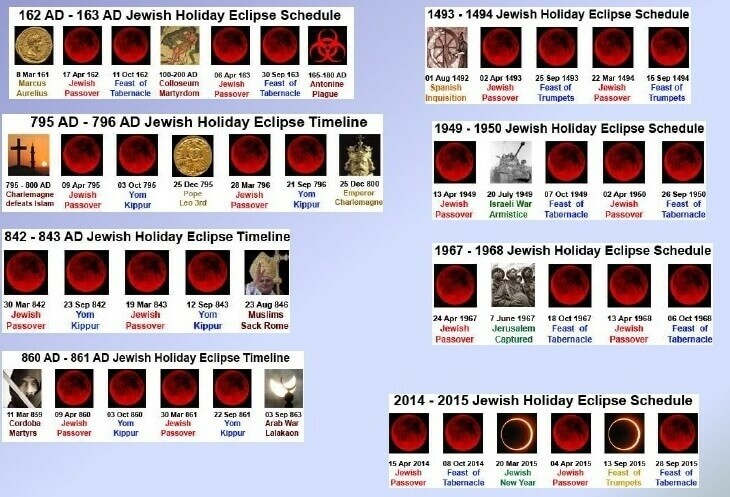 Kessin also points out that the next blood moons will occur just two weeks after the end of the Shemitah year – or Sabbath year when debts are released and the land rests, according to the Bible. Kessin says rabbinic teachings suggest the messiah will come in the year following the Shemitah year. In Rabbi Jonathan Cahn‘s book The Mystery of the Shemitah, he explores this topic in-depth as well as the many unique and important events have happened in American history on Shemitah Years. Pastor Mark Biltz first discovered the correlation between when blood moons fell on feast days and key historical world events. He found the divine link between prophecy, heavenly signs, historical events, and when they intersect. He has written a book about the topic called Blood Moons: Decoding the Imminent Heavenly Signs. Pastor Paul Begely has also noted the significance of the upcoming Blood Moon Tetrad. 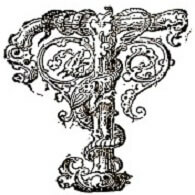 Another excellent source for a history of Blood Moon Tetrads can be found at RaptureWatch.net.